Ever since childhood, most of us have been conditioned that summer is synonymous with vacation. That is a fine thing. The summer vacation is a thing of joy and beauty. We will not speak ill of the summer idyll. But let us consider for a moment that winter vacations can be more fun that summer vacations. We will find that lodging and airfare are both more plentiful and less expensive. The locals may be more relaxed and playful. Besides bargains and more space, what else do winter vacations have to offer? They offer the excitement of exploring new places and exciting the senses just when we need it the most. They offer the beauty of fall foliage, the exquisite visage of an expanse of untouched snow, the excitement of winter sport. 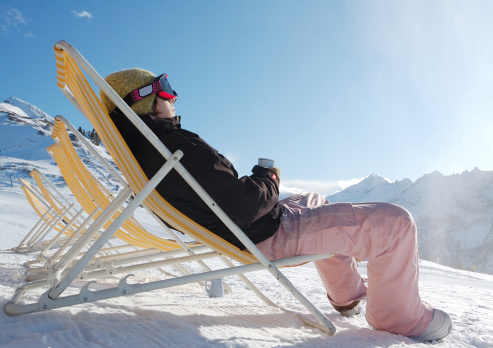 A winter vacation offers a chance to renew and refresh as the year winds to a close. It presents one with the opportunity to see out the old year with style and welcome the new year in with a fresh perspective. To take a holiday as the days shorten and the nights lengthen can be a wonderful way to celebrate the turning of the seasons. It will invigorate the spirit and stir the imagination. It’s like playing hooky as an adult. If you thought cutting out was good as a child, oh my friends, the chance to enjoy a lark as an adult is even sweeter. It is colored with the knowledge that everyone else is carrying on the responsibilities of the real world, keeping the fires of the workplace going. Handling the domestic responsibilities of quotidian reality and… you are on vacation! It’s an excuse to buy a few new clothes for a special outing. To delve into that great novel you’ve always wanted to read but never had time to peruse. It’s a chance to learn a new skill. To perhaps go on an ecological or volunteer vacation. Or perhaps to see nature up close and personal under the bright stars. Oh, what adventures you can have with a winter vacation. And some opportunities, such as a ski trip to a chalet or winter camping or seeing the ball drop on New Year’s Eve in New York are indeed only available during a time specific framework. Whether it’s a beach adventure on the coast, or a camping trip to the interior, or an opportunity to visit the great museums during the crisp day and savor a fabulous meal at night, a winter vacation can be more fun than a summer vacation precisely because it is unexpected. Just when your Facebook page is ready for a revisit you will be able to capture the attention of friends and fans with new images and stories of your adventures. True, one may miss the holidays with family. Uncle Joe’s infamous onion casserole. Your mother who is eager to show your special friend your childhood yearbooks. What of Aunt Meagan, who is almost certain to launch an inquiry about your career trajectory over the expanse of the family table where there’s no place to hide? Upon further contemplation, maybe this is a good time to check those frequent flyer miles. A winter vacation can be more fun than a summer vacation because it’s approaching, it’s doable, and you yearn for it. Carpe diem.